The Sub-Mariner has joined the Avengers! And they'll need his superhuman strength and aquatic expertise when they make a shocking discovery beneath the waves of Jamaica Bay, deal with a new Yellowjacket and clash with the unimaginable cosmic power of the Beyonder! 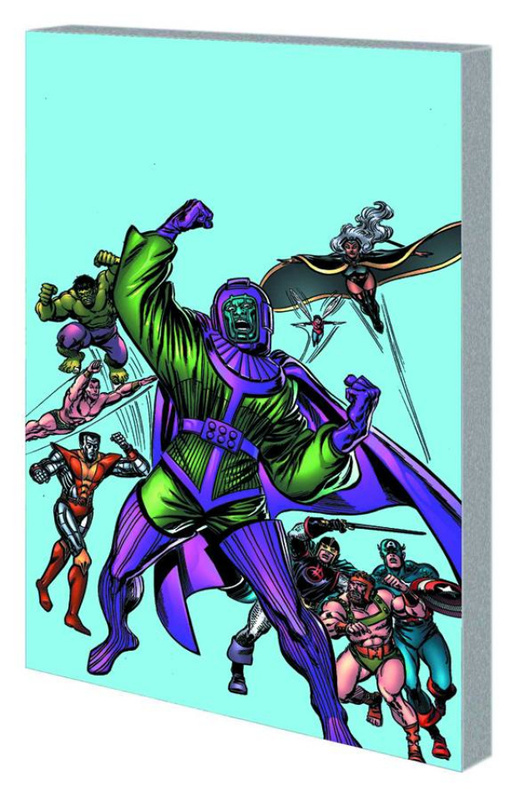 But when the Avengers' time-hopping nemesis Kang the Conqueror returns - a whole Council of Kangs, in fact - can Earth's Mightiest Heroes escape the deadly realm of Limbo, dispatch the threats of the Space Phantom and Growing Man, and triumph over their futuristic foe? And what parts will Ravonna and Immortus play in the battle? Plus: The Avengers and West Coast team up to uncover a traitor in their midst! Guest-starring the Molecule Man, the Silver Surfer and Freedom Force! Collecting AVENGERS (1963) #262-269, AVENGERS ANNUAL (1967) #15 and WEST COAST AVENGERS ANNUAL #1.